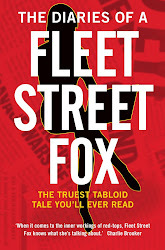 fleet street fox: Ugly things. Up close, they're inelegant, clunky, heavy chunks of metal which seem to contain more mass than they should. They sneer like Steptoe and they smell cold. In practice they are indiscriminate, uncaring, violent and unpredictable. They are not pretty, never do anything we'd like to look at, and they've been part of the military strategy of every nation since explosives were first discovered. They are the things politicians unleash, and then wash their hands of while the blood pools around their feet. And without bombs - without the brutal, sudden and horrid death they deliver without checking names against a list first - the world would be a different place. These days there are rules about what and how you bomb (not that they make a lot of difference) but in 1939 it came down to how you felt and what you could get away with, so when the Second World War began the British promised not to drop bombs on Germany so long as they behaved the same. Inevitably the gentleman's agreement fell apart. 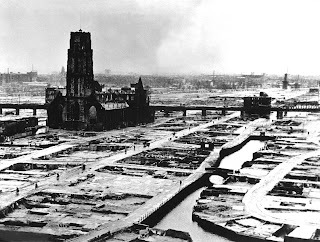 When the Germans invaded the Netherlands they threatened to blitz Rotterdam in order to force a surrender. As negotiations continued on the ground, an order to abort the attack never got through and the city centre was destroyed. 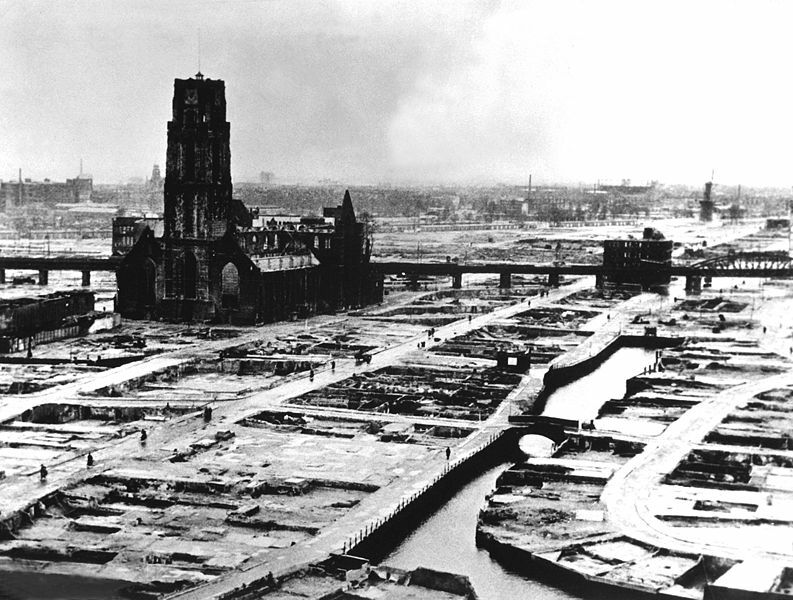 A thousand people were killed and 85,000 made homeless, and all that was left standing was the city's cathedral. The next day Winston Churchill - who had been Prime Minister for just five days - authorised RAF Bomber Command to unleash hell on Germany. And hell was what everyone got. British bombers were so few, slow and old they had been confined to dropping propaganda leaflets, and the few missions they'd flown attacking airfields and ports ended disastrously. Now they were sent, young men in lumbering planes using navigational equipment Christopher Columbus would have recognised, to attack oil refineries, factories and blast furnaces in cities protected by modern German fighters. In the first night only a quarter of the bombers claimed to have found a target; pretty poor you might think, but it was one of their more successful sorties. 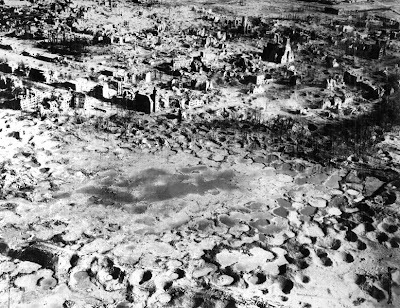 In the first year of the campaign less than one in ten bombs was within five miles of its target, so to compensate they dropped more. Accuracy was so bad they dropped bombs and hoped for the best. One in every 20 bombers was guaranteed to be shot down, and sometimes the rate was much higher. Hitler felt justified in returning the favour, and he launched the Luftwaffe into the Battle of Britain. We sent some bombs to Berlin, he dropped a few on the East End, and none of us hit anything we were aiming at. Then we were drawn into the screaming terror of the Blitz, the months-long bombing campaign which devastated cities all over Britain to soften us up for an invasion which never came. Children were buried alive in schools; Coventry was all but destroyed; forty thousand people were killed in consecutive days and nights of never-ending air raids over London, Plymouth, Portsmouth, Liverpool, Birmingham, Glasgow, Southampton and other towns and cities. Necessity sped up invention, and Britain began building bigger, better, faster planes. Half of British industry was churning out parts for new bombers and fighter escorts, and my dad can remember sitting on the floor of his father's workshop sorting out nuts and washers as they turned scrap into vital components of our own war machine. We killed 45,000 in bombing Hamburg, 30,000 at Dresden, and elsewhere another 500,000 because we dropped so many bombs the subsequent flames developed their own wind systems and became firestorms. By that point we had thousands of planes, and we needed them because we had lost 8,325 in action. We had 125,000 air crew, and 55,573 were killed. By 1943 the chance of surviving a first tour of 30 missions was just one in six, and only one in 40 survived a second tour. Their average age was 22. Those men didn't like the smell of bombs any more than the rest of us. They knew, more than anyone back home, what devastation they were being asked to wreak on our behalf. It wasn't their fault they found themselves in the middle of an arms race upon which the fate of the whole war hung. They didn't want to turn a city into a moonscape. Very few fancied the idea of flying for hours across enemy territory with the Luftwaffe trying to fill them with lead all the way there and all the way back. They all had parents, lovers, or children to think of. And when the few who survived came home, they were not thanked. Pictures of the devastation were published, and the fact that we had not only stooped to the Nazis' level but in some respects surpassed it was politically unwelcome and swiftly forgotten. Memorials were thrown up to all those who helped win the war - to Churchill who made the decisions, to the commanders, to the heroes of army, navy and air force and the women who went out to work while their men were fighting. 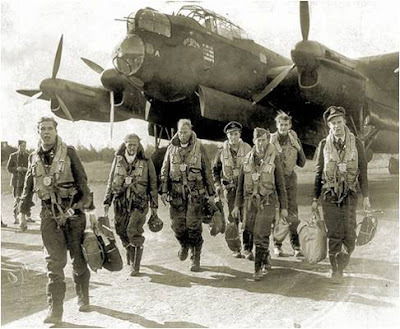 The men of Bomber Command had nothing. They didn't even get a medal. As years passed and the survivors became fewer thoughts turned, as they often do, to marking what they did - to mourn the dead and mark the sacrifice, on all sides. So for five years they wrote letters, rattled tins and sought donations to raise £6.5million for a memorial which was unveiled by the Queen this summer. Three times as many people as expected wanted to be there, who needed portable toilets, chairs, a sound system, security, barriers, catering, insurance and other arrangements which all cost £827,000. The veterans were going to be charged another million or so VAT as well, until public disgust forced the Treasury to waive it. Two government departments - the Department for Culture, the Media and Sport and the Ministry of Defence - promised to pay £250,000 each towards the opening costs. The DCMS stumped up £200,000, and the MoD has stumped up £0. Let me say that again. The Ministry of Defence has paid £0. It says it's given more than that in organising a flypast and sending personnel, which means that eight trustees of the memorial, including three Bomber Command veterans, are now personally liable for a shortfall of £550,000. So that's three men who volunteered to fight for their country, who followed instructions to rain death from the sky, who were brave enough to climb into a plane they had little chance of getting out of in one piece, who went off to do the dirtiest work a politician ever considered, who against all hope survived to bear witness and who were never thanked for the hell they went through, face losing their homes and pensions because they are appreciated by everybody except those who ordered them to do it. One wrote to the Prime Minister two months ago asking for help. He didn't even get a reply. Defence Secretary Philip Hammond was happy to be seen at the event, along with veterans from Australia, New Zealand and Canada who were in our crews and whose governments contributed not just to the memorial but also their travel expenses. A government spokesman has told the veterans it "does not usually support opening ceremonies for public memorials". Fair enough, it doesn't. But then veterans do not usually need to provide their own damn memorials. Heroes are not usually forgotten. Official disdain is not usually so public and debts are usually paid. But then the Ministry of Defence has more important things to do with its money, like buy aircraft carriers without aircraft, make thousands of military and civilian personnel redundant and never notice the fact it's charged £400 for every spanner. Why on Earth should it spend the equivalent of one 71,000th of its annual £39.4bn budget on the men who didn't have the good grace to die quietly? A few months ago the MoD announced it had balanced its budget for the first time in a decade. The trouble is that in war the balance sheet is not just about money - it's to do with who did what, and why, and how, and recognising there are some things you will always be owed and that the first of these is a 'thank you'. The biggest debt of all is owed by politicians who sit in comfortable chairs ordering men into hell so they can get re-elected then choose to forget, and it's the ugliest thing I've ever seen. If only they had the heart to know it. Perhaps the lucky ones didn't come home.